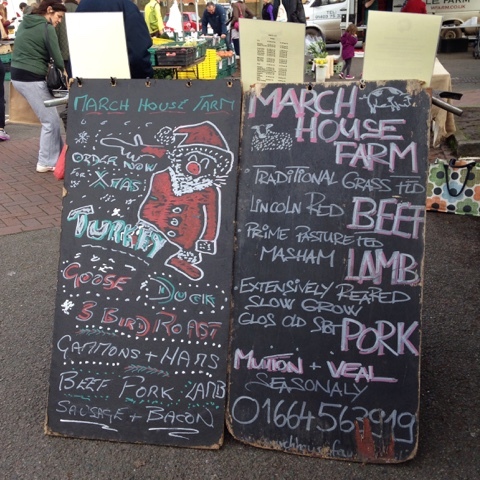 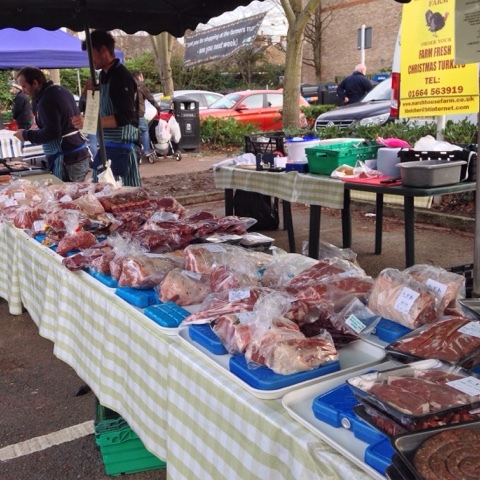 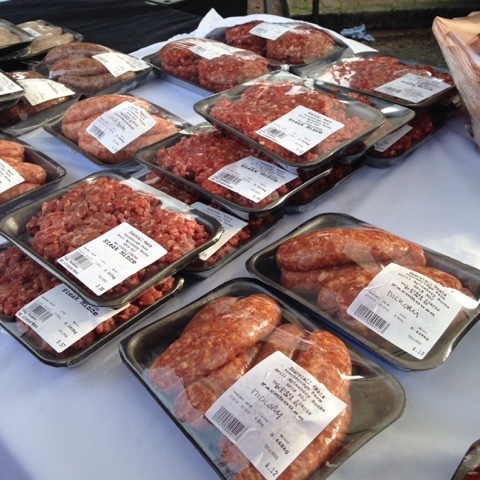 First up was a beautiful selection of meat from March House Farm…beef, lamb, sausages, pork and mutton, veal and turkeys (seasonally). 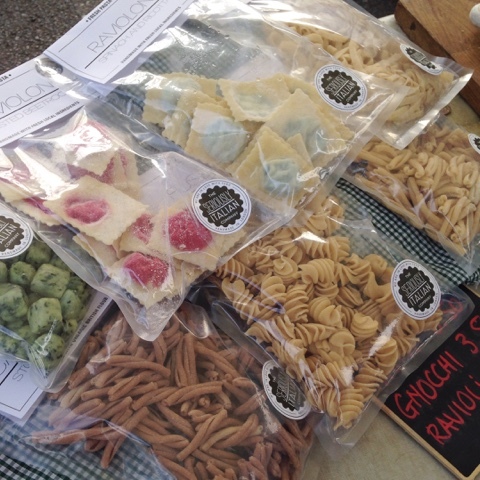 Next, fresh pasta and every flavour of pesto you could imagine from the Seriously Italian Company. 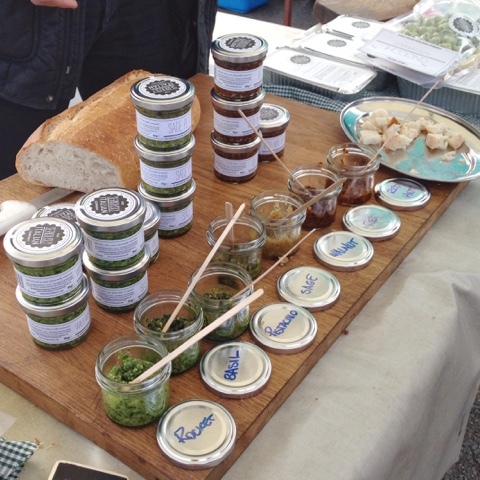 Obviously I had a taste of them all…the rocket pesto was delicious! 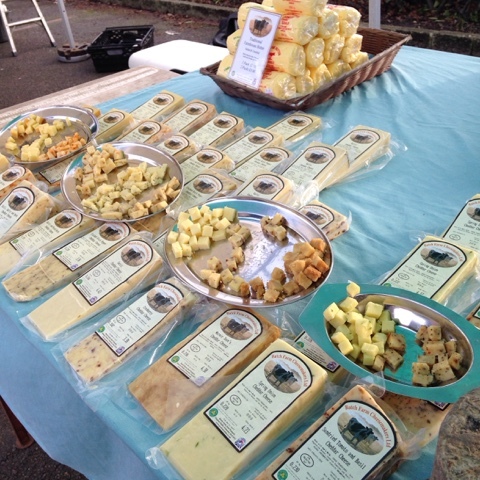 Batch Farm Cheesemakers also had some samples to nibble on…I highly recommend the smoked cheddar and the garlic cheddar. 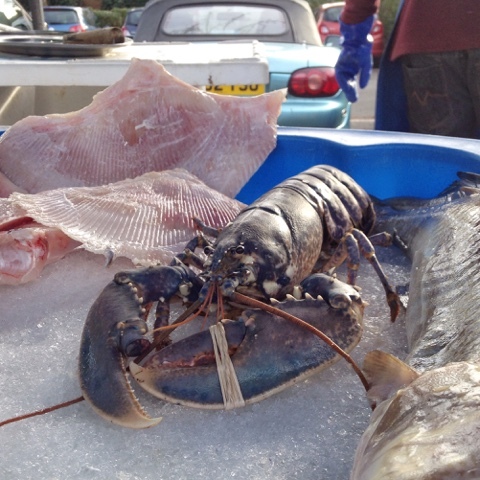 Gary's Fresh Fish really do offer fresh seafood - the lobsters were still alive…can't get fresher than that! 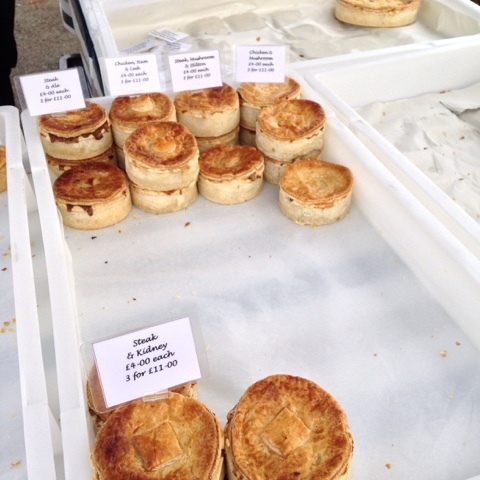 Now on to my favourite stall of the day - Cakehole. 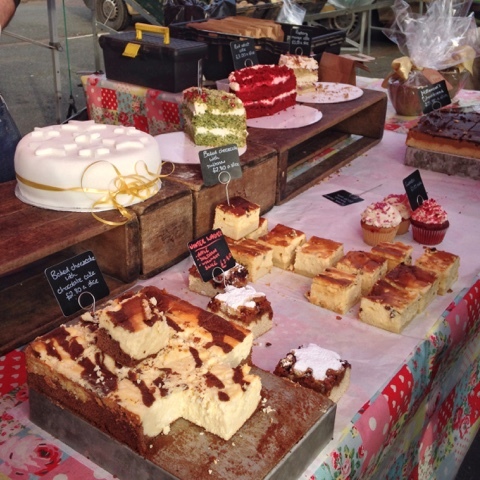 Even though we arrived quite late there was still a good selection of cakes..including the best cheesecake I have ever tasted - their baked cheesecake with chocolate cake. 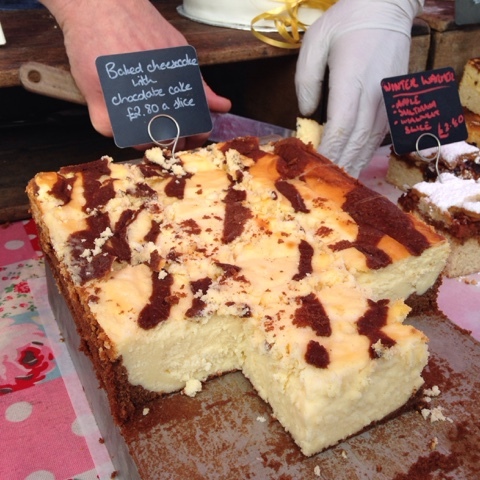 Lucky for Londoners, they visit a lot of markets in the city so have a look to see if there's one near you so you can try the cheesecake too! 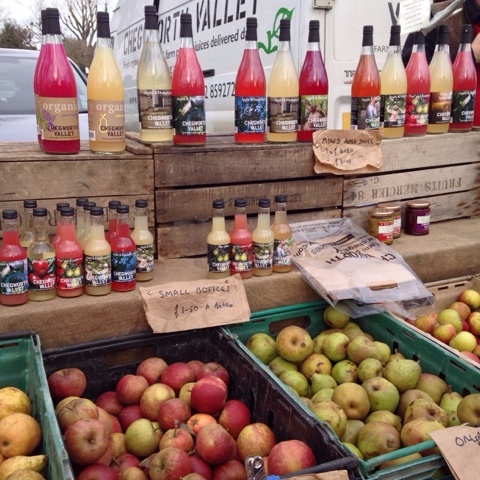 Chegworth Valley Juices brought all types of apples and pears as well as pure juices from Kent. 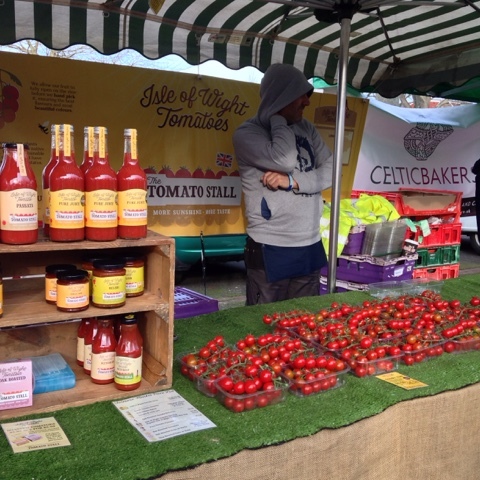 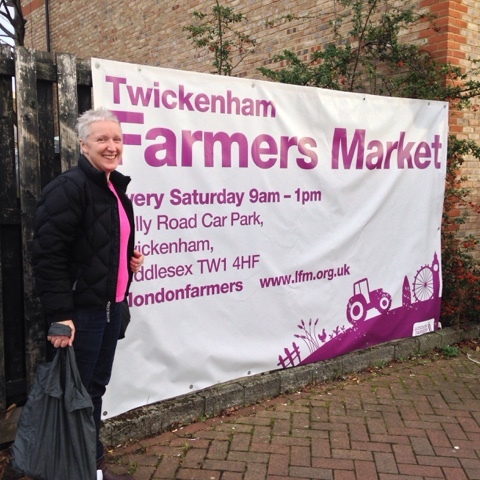 If you can't get to any of the markets they visit, you can also buy veg boxes, fruit boxes and juices from their website. 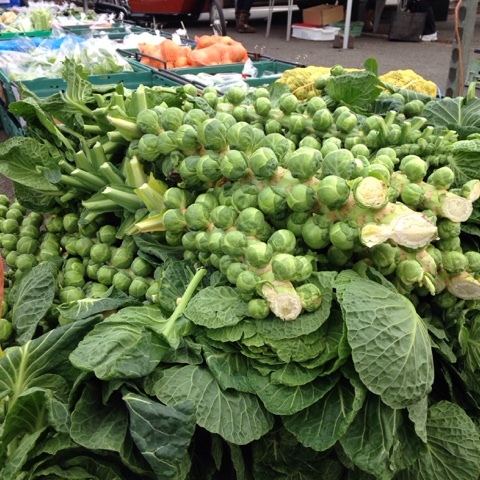 Look at these beauties from Manor Farm - sprout "trees"! 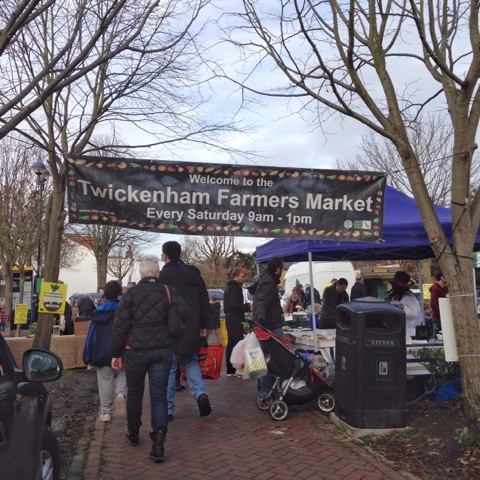 They also sell all sorts of tasty veg including curly kale, purple sprouting broccoli as well as your more everyday veg like potatoes and onions. 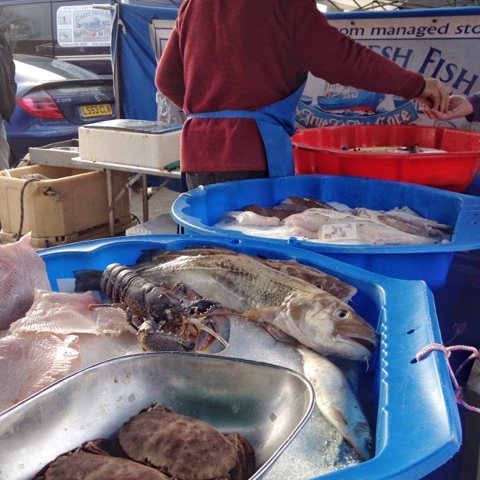 Not all of the suppliers listed on the market's website were there so I'll definitely be back to see them!